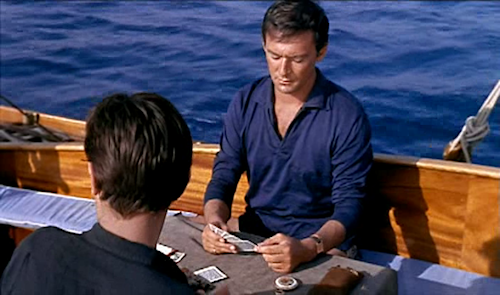 We all have our favourite film version of Tom Ripley - you've got your Damons, your Malkoviches, then there's Delon and Hopper to name most of them. But, as promised, we'll look at one of the better adaptations of Patricia Highsmith's novels featuring that smooth and amoral character. 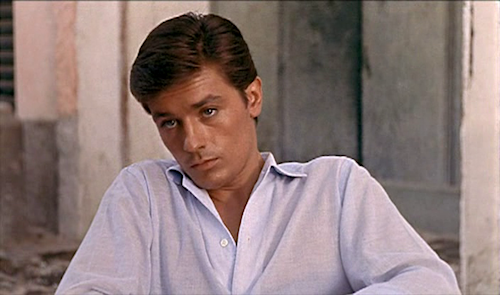 Purple Noon is a French adaptation of The Talented Mr. Ripley. 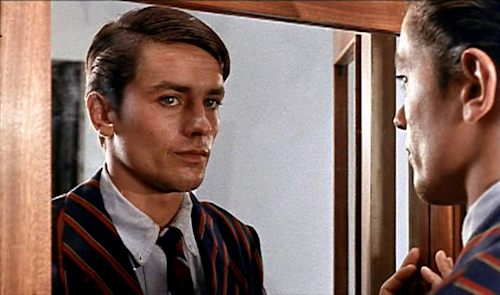 Released in 1960 as Plein Soleil [Amazon] in France, it stars a monstrously handsome Alain Delon in his first starring role as Tom Ripley, before he goes on to become a welcome 60s ubiquity. It was directed by René Clément, who also directed the fairly good Rider on the Rain (Le Passager de la Pluie), which is nice if you like films with a lot of rain, as I do. We'll return to that film later. We all know the story of The Talented Mr. Ripley. 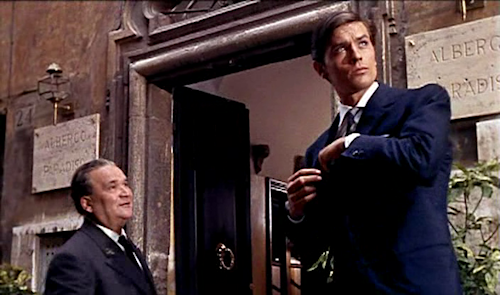 Tom Ripley is sent to Italy by a wealthy American magnate to bring his loafing trust fund son home. When Tom arrives in Italy, he has very different ideas about his objectives, and his talent for re-shaping his destiny slowly emerges. 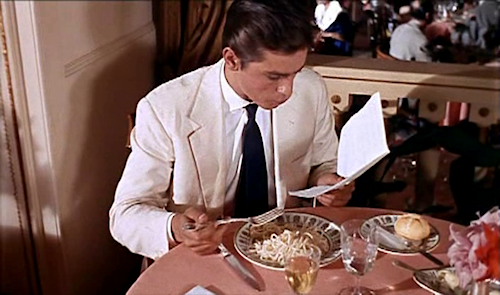 Highsmith described the adaptation as "very beautiful to the eye and interesting for the intellect". The film also has style. 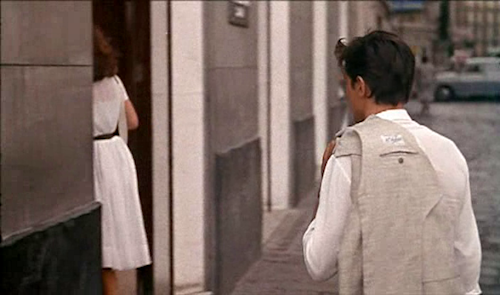 I've homed in on a few choice pieces worn in the film here. If you packed for a summer holiday using Ripley's wardrobe as a template, you would not go far wrong. Basically, a cream and blue palette. But don't go murdering people, okay? 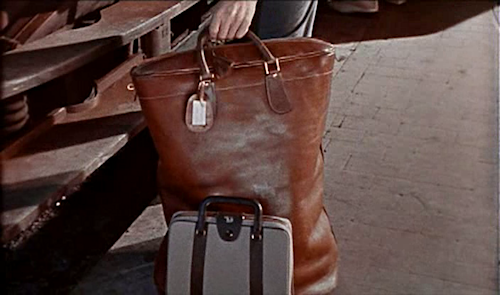 Of the deep leather bag, I've been looking for one like that for the last ten years.